When it comes to enjoying our favourite drink, it can be a little confusing for the novice drinker to know exactly how cognac should be tasted. Of course, those who’ve been sipping for many years will have their own tried and tested methods, but for those new to cognac, the correct way to drink can seem somewhat intimidating. Now, cognac is about many different things. And first and foremost is that however you taste it, you do so in a way that you enjoy. And that can be straight (in the traditional manner), on the rocks, with a mixer added or as the base ingredient of a cocktail. And we’ll delve deeper into those delights in a moment. To understand why it’s important to know how to taste cognac, you first need to understand a little about how the drink is produced. You can read more about this here, but in essence it’s all about the ground that the vines are grown in. The region of Cognac is divided into different ‘terroirs’, each of which is composed of varying degrees of different soil. And this is one of the main reasons that cognacs can taste so different. Read more about the terroirs of Cognac here. The second reason for the differing tastes of cognacs is the blending process. This is where different eaux-de-vies are combined together to produce the finished product. Read more about blending here. But let’s get to the crux of the matter. And that’s how to taste cognac. We’ve broken this down into 10 easy to follow steps. 1. First, select your cognac. This might sound obvious, but you need to decide which type of cognac that you want to taste. Cognacs are graded into different qualities in terms of their age. In general, there are three different qualities. These are a VS (Very Special) – also sometimes referred to by simply three stars (✯✯✯). 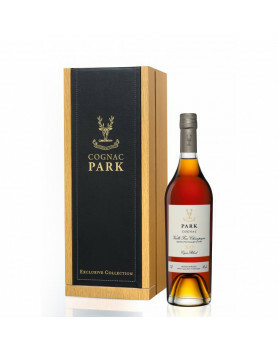 This is the youngest quality of cognac and has been aged for at least two years in oak casks. Bear in mind that most cognacs are a blend, so this refers to the youngest eaux-de-vie used in the blend. Next is a VSOP (Very Special Old Pale). 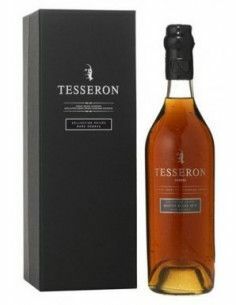 A cognac where the youngest used has been aged for a minimum of four years. An XO (Extra Old), where currently this means the youngest of the brandies used within the blend has been aged for a minimum of six years. Note, from April 10, 2016, this is to be changed to a minimum of 10 years. There are two basic glasses that the cognac purist will tell you are essential to properly taste cognac. These are the Tulip Glass and the Balloon Glass (or brandy snifter). The reasons for using these are to do with the shape, and the way the glass narrows towards the rim in order to intensify the bouquet (aroma) of the cognac. However, if none of these are available to you, it’s perfectly okay to use a regular shaped spherical wine glass. Read more about cognac glasses here. Ah, the delightfully decadent ‘plink plink’ that cognac makes when poured from the bottle to the glass… You need about 25ml (0.85 oz.) in your glass for a tasting session. A contentious point, this. Because there are some schools of thought that say this in unnecessary. However, it’s a tradition that’s now centuries old – and these things don’t become such a way without good reason. It’s recommended that you hold your hand (or hands) around the bowl of the glass for up to 10 minutes. This helps it to reach room temperature (approx. 700F or 21C). And it’s at this approximate temperature that the aromas and subtle nuances of the cognac become easier to appreciate. Also referred to as ‘the eye’. This is important, because the colour of the cognac can give you a rough indication of its age. In general, the darker a cognac is, the longer it’s been aged for. Young cognacs tend to be more of a straw, or honey colour. As cognacs age, they become more gold in hue, amber or a deeper shade. This is due to the tannins in the oak barrels they are aged in. Known as ‘the nose’, this is literally referring to the aromas you get when you sniff the cognac. To do so, place your nose on the edge of the glass and inhale. You might get hints of different fruits or flowers, depending on the age of the cognac. Of course, smell (such as taste) is subjective, and different people might be able to sense different aromas. Remember, there is no right or wrong when you taste cognac – it’s all a matter of individual perception. This has the effect of releasing the different aromas contained within the blend. After swirling, you might find that other aromas become more apparent. A small sip will suffice, allowing the taste buds in the various areas of your mouth to distinguish the different flavours. This part of cognac tasting is described as ‘the palate’. Don’t just swallow it down; allow the liquid to touch all the regions of the mouth. Doing this is necessary as the taste buds pick up contrasting flavours in the different areas of the mouth; on the tip of your tongue to the sides, for example. Therefore you’ll allow your senses to pick up all the subtle tastes from the cognac. The ‘finish’ is the experience you get after you’ve swallowed the cognac. It’s where you still enjoy the flavours within your mouth, and it tends to be that the older the cognac is, the longer a finish you’ll experience. So, there you have it – how to taste cognac. As you can see, it’s no great mystery – and the more you do it, the more you’ll be likely to pick up the different tastes and aromas. As we mentioned above, there are many different ways to enjoy the taste of cognac. Some people like to add ice, claiming that this releases different aromas to enjoy. Others drink theirs with a mixer (such as Coca Cola). And one of the most popular ways nowadays is to drink cognac in a cocktail. You can read more about these ways here. 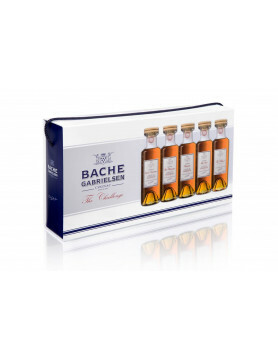 Also available for Armagnac ! I was taught by my father that cognac is best enjoyed if you previosly warm the glass with boiling waterfor a couple of minutes and then (with the glass hot and empty of water) you pour the cognac in the glass. Then, you keep it warm with your hand and enjoy it. nice walk thru the cognac experience … very helpful! I have a bottle of Camus Borderies XO and the color is green of which I can find o reference. Can you help with this color. The colour of the liquor is green? That is NOT normal.. at least for Cognac. I’m thinking of getting a bottle of Hennessy Masters Blend No. 1. Has anyone experience this yet? Cognac and cola? You must be a rapper or you just drink $hit cognac, try buying a bottle that costs more than $25. In regards to the question about Hennessy Master Blends #1, it is okay, not great. You can get a lot better cognac at the same price, but you may have to have your liquor store special order you something. A few dollars more will get you a bottle of Maxime Trijol XO, which blows the Master Blends out of the water. In my opinion, XO should be consumed “neat” only. I would never mixed my Remy Martin!